Holds one set of ashes. Hand sewn bag can be provided. Interested in bespoke wood tattoo? If you would like further information about a possible bespoke wood tattoo please check below and we will ask our wood tattooist to get in touch. 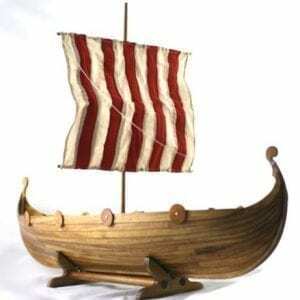 Completely handmade in Devon, England. Created in solid oak from wood that shows off its character and beauty. These cremation urns are truly unique. With smooth simple neat lines. Hand finished with oil to give a subtle sheen. 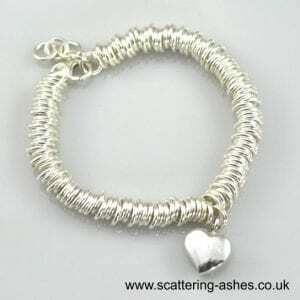 We can also provide you with an ashes bag hand sewn in Devon for a small additional charge. 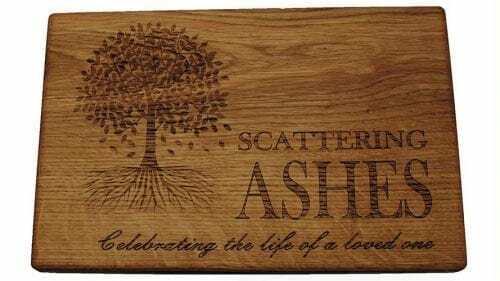 This is helpful if you want to move the ashes at a later date. Capacity: suitable for the ashes of one adult. 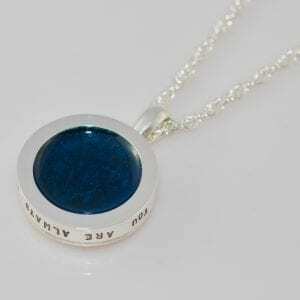 You can choose to have the option of a plaque with your own personal message of up to 90 characters engraved upon it. 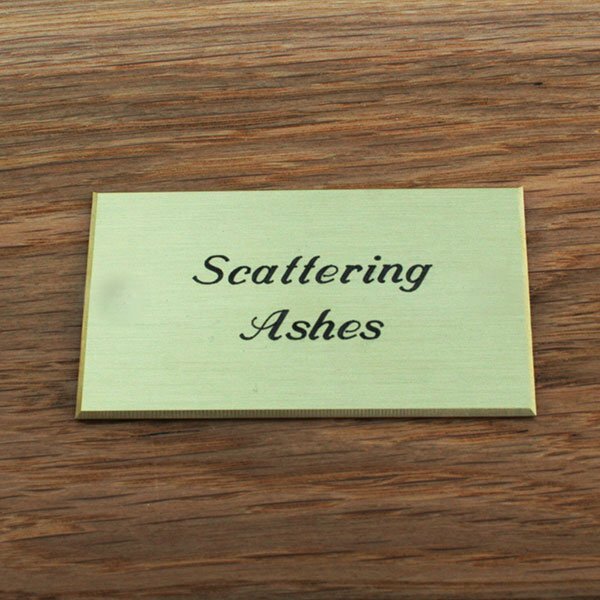 We tend to use brass or stainless steel plaques. 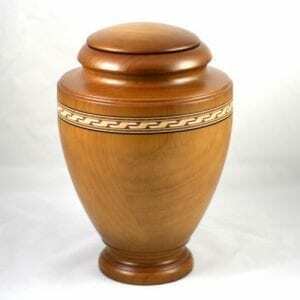 Wood tattooing is available for this urn. We are really lucky to be able to work with another very talented artist who will tattoo a bespoke design for your urn. 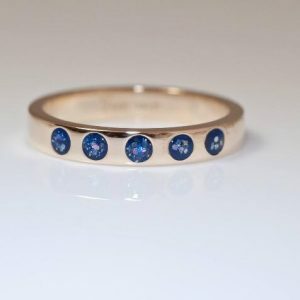 An example is military design pictured, but he can also turn his hand to pretty much anything, they are truly stunning. 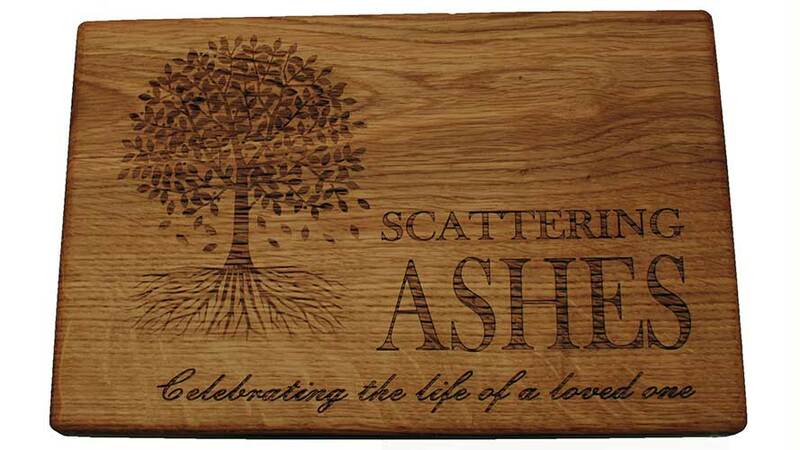 If you are interested simply fill in the form on his Scattering Ashes page. 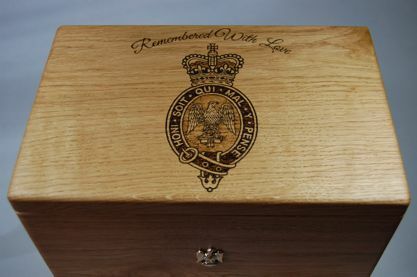 Engraving is also available with your words and / or design lasered into the lid, please contact us if you are looking for this option. 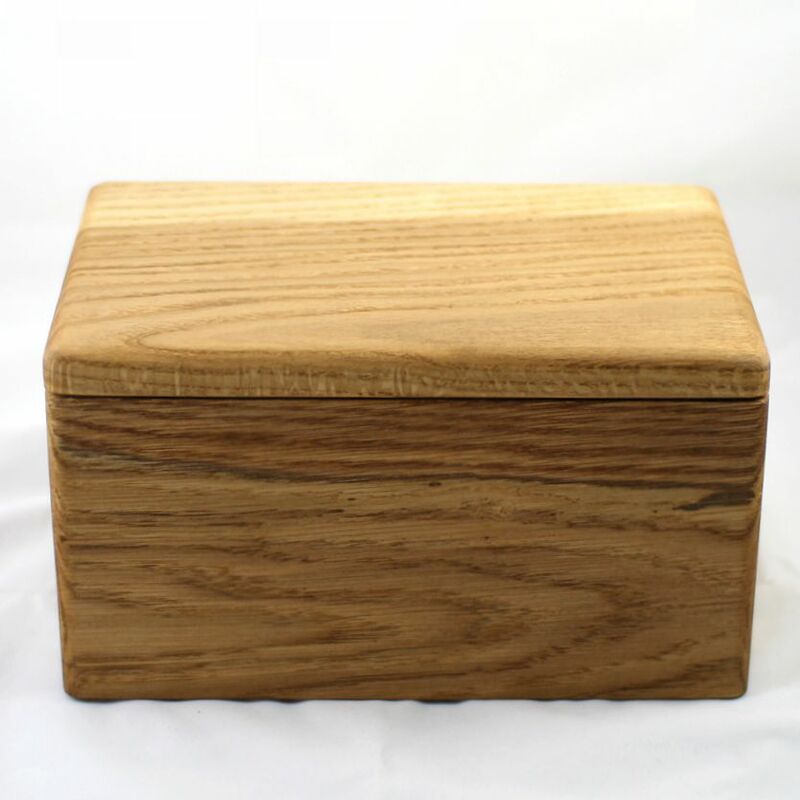 Many people keep their loved one’s ashes at home. Some because they are not sure what to do with them, some because they are not yet ready to do something with them and some simply want to keep them close by, in the home. Sometimes, very well meaning, friends will give advice such as ‘it’s time to move on’ or ‘you’ll feel better if you scatter/bury them’. But only you will know how you feel with the loss of your loved one and only you will know when and if the time is right to do something else with the ashes. 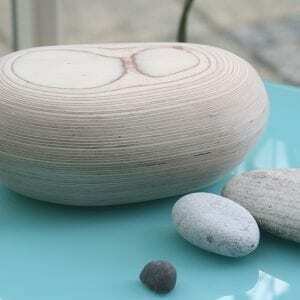 Until then these urns can keep the ashes safely at home without you having to explain your reasons to anyone, if someone admires the photo it is up to you whether you tell them or not. 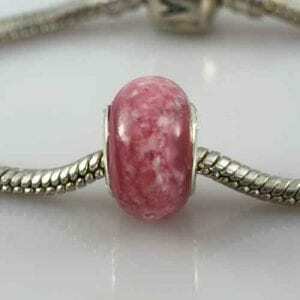 As these beautiful items are completely handmade please allow 4 – 6 weeks for delivery. If you need the item for a specific date please contact us on [email protected] We will speak to the carpenter involved and do our best to arrange this for you.